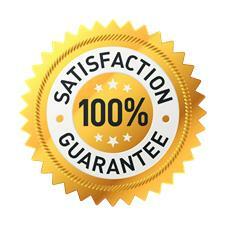 At HEARING SAVERS we pride ourselves on offering all our clients the Price Beat Guarantee. Our Price Beat Guarantee means that if you find a lower priced identical stocked item with a competitor (even if it's on sale), we will not only match it, we'll beat it by 5%. That means you can shop with confidence knowing that when you buy from HEARING SAVERS, you are receiving the best price on ALL leading hearing technology. Don't forget, some exclusions apply - please Price Beat Guarantee Terms & Exclusions below. If you see any of our hearing aid batteries or hearing aid accessories advertised at a lower price by a competitor, we guarantee to beat it. What do we include with your new Hearing Aids? In-store pick up only: Your new hearing aids need to be expertly fitted by our Audiologist in our hearing clinic. We will beat any advertised price or written quote for hearing aids stocked by us where the competitor hearing clinic is located within reasonable proximity to you and the competitor quote includes the same or similar Services provided by us with your new hearing aids (see table of Services above). Our Price Beat Guarantee cannot be used in conjunction with any other discount, promotion or offer, excepting the Government subsidy under Hearing Services Program. We source only the highest quality, latest hearing products and technology from leading global hearing care manufacturers, including Oticon, Siemens Signia, Phonak, Unitron, Widex, Starkey, Bernafon... to name a few. We will gladly provide you with a full replacement or refund within 30 days of purchase if you're not fully satisfied with any of our products. Products need to be returned in full working order. We cannot accept returns of opened packets of battery and domes. If you can't find what you're looking for, please contact us and we'll endeavour to source the product for you, and of course, at the lowest prices. * Comparison model is zinc-air battery size 312; Comparison prices include postage. Prices are sourced from advertised prices online for the same product during January 2017. Comparison does not include special offers or special prices that may be offered by our competitors from time-to-time. Comparison websites include: Audio Health, Hearing Aid Batteries Express, Hearing Direct, Hearing Sky, HABEX, Hearlink, Hear for Less, Gadget City, The Audio Store, The Hearing Care Shop, Direct Hearing Aids. Power One model is Power One Mercury Free and where not available, traditional Power One zinc-air model. ZeniPower model is ZeniPower MF. Rayovac model is Rayovac Extra Advanced.